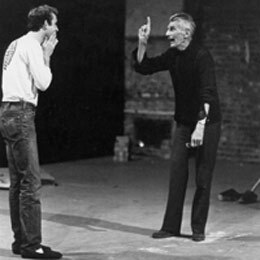 In the early 1980's Samuel Beckett came to London to direct rehearsals of his seminal plays, Endgame and Waiting for Godot. The venue for these rehearsals, the Riverside Studios in Hammersmith, was not the venue for the final performances but, more importantly, was the creative space where the performances were made. The Riverside at that time, under the artistic directorship of David Gothard, was a hotbed of creative activity and the notoriously media shy Beckett was comfortable enough there to conduct interviews with the press, be seen drinking in the Riverside bar, and allow artists and school children into the rehearsals. At CHELSEA space, photographs of Beckett rehearsing taken by the late Chris HA-rris, Beckett's correspondence with David Gothard, and related ephemera (all from Gothard's personal archives) form a backdrop for a wide ranging series of rehearsals, workshops, and speculative discussions. 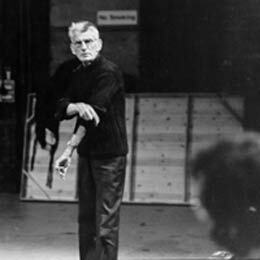 During the exhibition musicians, artists, actors, writers, performers and directors will use CHELSEA space to explore the creative nature of rehearsal, improvisation, discussion, preparation, process, and the wider influence of Samuel Beckett. The schema for presenting David Gothard's personal archive of Beckett at the Riverside is by artist Jess Wiesner.